Posted on February 5, 2019 at 1:32 pm. Having already laid down rules and regulations for gambling advertisements, Japan has now come out with requirements for accommodation and other facilities at integrated resorts. The government wants all Japanese casinos to have hotels and conference rooms much bigger than those currently in existence. These large-scale requirements are aimed at placing the country in a favorable position to compete with the likes of Macau, South Korea and Singapore. Guest rooms at resort hotels must have a combined floor space of at least 100,000 square metres, which equates to around 2,000 rooms given the size of a standard Japanese hotel room is 50 square feet. At present, the largest hotel in the country – the Shinjuku Washington Hotel in Tokyo – has about 1,600 rooms. Regulators also want exhibition halls to total a minimum of 120,000 square metres and the largest conference rooms to have capacity for more than 6,000 people. The country’s largest exhibition floor space at present is at Tokyo Big Site, which measures 95,000 square meters, while the major conference centres in Yokohama and Tokyo can hold around 5,000 people. Out of the total floor space at an integrated resort, the casino itself must make up no more than 3 per cent. The cabinet is expected to approve the requirements at the end of next month after a period of public comment, which remains open until March 4. 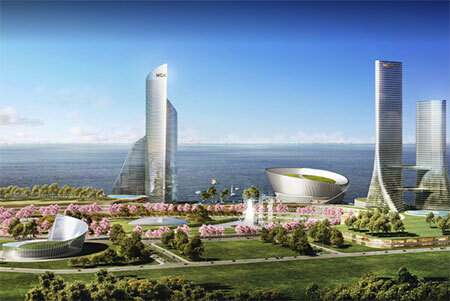 A recent survey by Kyodo News found that out of the 47 prefectures and 20 major cities qualified to host the integrated resort, only three areas are planning to apply. An integrated resort in Japan is estimated to cost more than $10 billion and could have a significant impact on the country’s economy. The primary challenge is whether the casinos can attract high-rolling foreign punters, with some analysts predicting Japanese citizens would account for about between 70 and 80 per cent of casino visitors.